It was a mixed night for the Paraguayan sides who both failed to score, the difference being Olimpia earned a credible draw in Montevideo while Tacuary slumped to a 1-0 loss at home. The likelihood that the latter will progress to the next round is very low considering they will be playing in Calama at 2600 metres altitude. Olimpia on the otherhand can be pleased with a solid result, riding their luck at times, and will expect to overcome Danubio in Asunción. 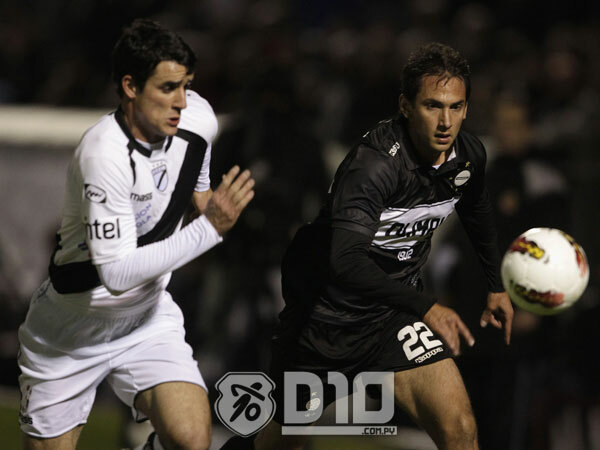 Gregorio Perez got his second spell at Olimpia underway with a decent draw in Montevideo against Danubio that puts them in the driving seat for the return leg. The Uruguayans had the better chances, hitting the woodwork three times, and the best player on the pitch was undoubtedly 21-year-old Leonardo Melazzi who looked the most likely source of a goal. For most of the game El Decano were restricted to shots from distance, Richard Ortiz and Maxi Biancucchi both forcing saves, but their best chance came with nine minutes to go. Substitute Arnaldo Castorino broke at pace and fed the ball through to Julio Santa Cruz but Roque’s younger brother was unable to make the difference as his shot was saved by the outstretched leg of goalkeeper Goicoechea. As expected a defensive-minded affair between two sides looking to capitalise on a mistake by the other side, Tacuary were strong in defence for the most part and as ever their dependable goalkeeper Carlos Servín made some excellent saves when called upon. However, even he couldn’t stop Patricio Troncoso’s ferocious shot which broke the deadlock and looks certain to have earned the Chileans passage into the next round. 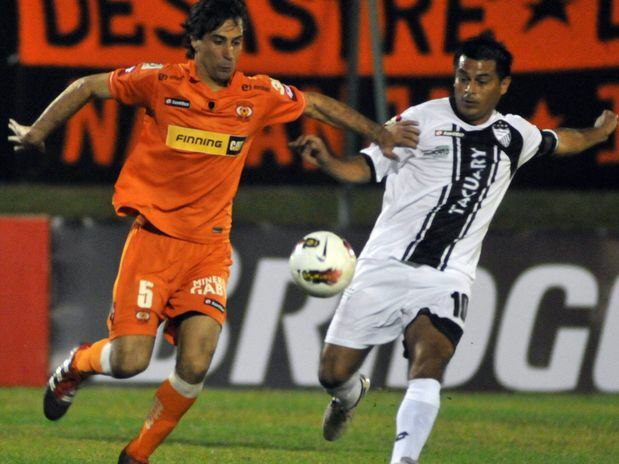 This entry was posted in Copa Sudamericana 2012 and tagged cobreloa, Copa Sudamericana, Copa Sudamericana 2012, Danubio, Olimpia, Tacuary. Bookmark the permalink.